Rates of enrollment at private schools are declining, and — like public schools — those schools are becoming increasingly segregated by income, according to the latest research by Stanford Graduate School of Education Professor Sean Reardon, Ed.M.’92, Ed.D.’97, HGSE Professor Richard Murnane, and doctoral students Preeya P. Mbekeani and Anne Lamb. In the article, “Who Goes to Private Schools,” published in the fall issue of Education Next, the researchers examine the downward trend in enrollments at private schools over the past 50 years. 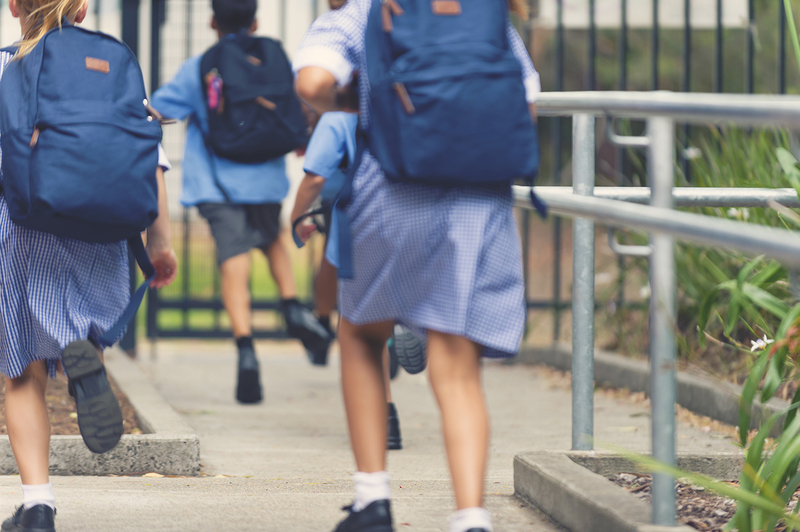 They report several shifts driving this decline, including the closing of a number of Catholic schools and an increase in the number of nonsectarian private schools. At the same time, income inequality continues to grow in America, affecting where people choose to live and send their children to school. Between 1975 and 2010, the very affluent family’s income has increased by 57 percent whereas middle-income families has increased by only 19 percent, the researchers report. As a result, it is far more likely that affluent families are able to send their children to private schools, where the average cost of tuition was $10,490 in 2011. Reardon says one in six high-income families sends their child to private school, with almost half sending their children to an elite, non-sectarian school. This has consequences for everyone — not just on school resources but also on society in what Reardon worries may create an “empathy gap,” as high-income and low-income children are growing increasingly segregated. “In the U.S., black and Latino families are heavily overepresented in the lowest 10 percent of family incomes and are very underrepresented among families in the top 10 percent of family incomes,” he says. In this edition of the Harvard EdCast (embedded above), Reardon talks about the downward trend in private school enrollments, what this tells us about the middle class in America, and why it’s important for everyone to pay attention to who goes to private school.